This exclusive design Irish t-shirt, from The Irish Gift House, features our Shamcus design on the back below the collar! The full color design is on an Irish green color, pre-shrunk cotton t-shirt that is available in adult sizes small through 3XL. 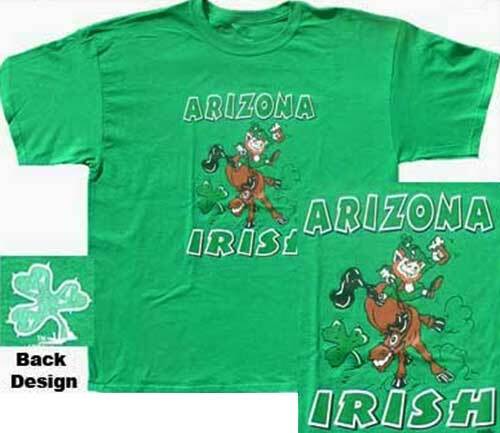 We first introduced The Irish Gift House logo, the Shamcus, on this fun Arizona Irish t-shirt.